N.B. : This translation from Turkish includes numerous changes in the text by Daniel Pipes to improve the presentation and to make it more accurate. 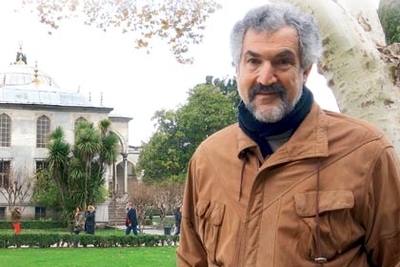 Founder and president of the Middle East Forum, Daniel Pipes is well known for his work on the Middle East and political Islam. Pipes, an award-winning columnist for the National Review and Jerusalem Post, writes commentaries and articles about the Middle East in leading media organizations such as the BBC, Al Jazeera, New York Times, Wall Street Journal, and Washington Post. After visiting Turkey last month, Pipes, who has 12 books and numerous articles on Islam, Syria, and the Middle East, published an article in National Review Online titled "Talking Turkey." We talked with him [in mid-December] about his impressions of Turkey and his expectations from the Middle East. - When were you in Turkey the last time? I was in Turkey two weeks ago. I visited in 2007 as well. My first visit to Turkey was in 1972. I spent the summer of 1973 trying to learn Turkish while living in Istanbul's Üsküdar quarter … but I was not very successful at it. - How long did you stay in Turkey before writing your last article, "Talking Turkey"? Did you meet anyone from the government? I stayed in Turkey for 5 days. My request to meet members of the AKP did not succeed. However, I was able to meet with representatives of the CHP (Republican People's Party) and the Gülen movement. - Considering your visits to Turkey, what kind of difference do you see between now and then? Two major changes occurred in the last 40 years. First, economic development, especially in Istanbul: there are so many new buildings, businesses, and global brands. This differs completely from the Turkey I saw 40 years ago, which was quite separated from international business. Second, Islam. The religiosity of people in Turkey was semi-visible then. If it was necessary to go to mosques or other places to see them, now they are everywhere. - Do you mean women who wear headscarf? Yes, the turban [headscarf] symbolizes this phenomenon. Many observers used to see Turkey as a European country with a different language. As someone interested in the history of Muslims, I always saw Turkey as a Muslim Middle Eastern country. The Atatürk revolution impressed me and I began writing a book comparing it with the Meiji transformation in Japan. I find it strange to see Turkey as European just because a small part of its territory is in Europe. Would Morocco controlling Gibraltar make it a European country? I think not. - Does Turkey fit exactly into the Middle East? Yes, Turkey is historically, culturally, religiously, commercially, and politically a part of the Middle East. - Do you think Islam's visibility is negative? I have no opinion if people want to pray, fast, and on pilgrimage to Mecca. I do, however, have an opinion on attempts to implement the Shari'a. The Shari'a causes great suffering, sorrow, and pain. In the past [Necmettin] Erbakan and now [Recep Tayyip] Erdoğan is moving toward Islamic law and I think this a terrible development. - Do you really think Erdoğan is heading toward Sharia? Almost everybody I spoke to in Turkey told me, "Turkey will never be a country where hands are cut off, of burqas or jihad. Erdoğan, Gül, Davutoğlu, Arınç, and Gülen all know that and accept the order Ataturk implemented 80-90 years ago. They are only trying to create a more religious environment within that order." Among those I spoke to, only an Alevi person did not subscribe to this opinion. According to him, Erdoğan and Gül aspire to apply Islamic law. "It will take a very long time," he noted, "but it is their objective." I agree with this view. - As someone who lives in Turkey, I am having hard time to understand how you can see implementation of Shari'a. What makes you so skeptical about the AK Party's goals? Gül and Erdoğan were members of Erbakan's Virtue Party in the 1990s; and although he failed to achieve his objectives because he was removed from power by the military, Erbakan clearly intended to apply the Shari'a. The question now is: Did Gül and Erdoğan only change their tactics to maneuver better than him – or did they really abandon his objectives? I do not believe they altered their goals. I grant that I am speculating here because I cannot read their minds but it makes more sense to conclude that they only changed tactics. As I see it, these lieutenants of Erbakan learned a lesson from his mistakes and are now implementing his policies more intelligently. Erdoğan is a more capable and sophisticated version of Erbakan. Should the AKP stay in power, the implementation of Islamic law will begin. The result will not look like Afghanistan under the Taliban, the Islamic Republic of Iran, or Saudi Arabia but the Shari'a will give direction to the social order. I expect the AKP to rule for a long time, in part because the opposition in Turkey is so weak. It is reduced to hoping for divisions between Gül and Erdoğan, or Gülen and the AKP. The intellectual base of the CHP and the other parties is weak. - Can you clarify your comment in your last article, that you heard that the AKP aspires "to create a post-Atatürk order more than an anti-Atatürk order"? Does the AKP leadership really accept the order established by Atatürk? I have my doubts. I think, deep in the leaders' hearts, they want step by step to erase Ataturk's accomplishments. In this sense, Erdoğan is the anti-Atatürk. Let me add that I have no problem with the removal of Atatürk from walls, quotations, and celebrations. It seems odd that a person who died 75 years ago remains ubiquitous. In the United States, I would not welcome seeing George Washington everywhere. - Turkey is in leadership struggle for the Middle East. Do you think that Turkey can be the greatest power in the Middle East? Turkey absolutely is the best candidate right now for Middle East leadership. Given its population, the ruling party's vision, its economic strength, and its intellectual capacity, Turkey is the country closest to leading the Middle East. - What do you think of highly controversial Gülen movement? I never met Gülen, though he lives near me in Philadelphia. I know a number of people from the movement. It is highly sophisticated, intellectual, and impressive, especially the hundreds of schools. In my opinion, its objective is to make Islam the primary component that regulates people's lives, and it works for this very carefully and cleverly. Islamism in Turkey is far more intellectual than, for example, in Egypt. Take a look at Mohamed Morsi: in a few months, he tried to do more than the AKP has attempted in ten years, and for that reason, he is in great danger. Egypt faces so many problems, from a sinking economy to violent protests on the streets. In contrast, Gülen builds schools and has a media empire, which is much more impressive than Muslim Brotherhood, Khomeini, or the Taliban. For me, the most powerful feature that separates Islam in Turkey from other countries is capable leadership. - The Arab Spring began with high hopes; at this point, do you think it brought spring to the Arabs? I never call it "Arab Spring"; the term Arab uprising is much more accurate. The Arab Middle East was surprisingly stable between 1970 and 2010, with little change of the dictators in charge. These regimes lacked an ideology or vision, so they—except for Syria—established good relations with the U.S. government. Following the incident in Tunisia in December 2010, the Islamists have increased their power. I believe this worsens things for the people of the region: dictators are bad enough but Islamists are even worse. Dictators kill tens of people; Islamists kill hundreds or thousands. - Why are you contrasting Islamists and Americans? Islamism is the third totalitarian movement. We beat the fascist and communist threats; now we have to defeat the Islamists. - Saudi Arabia is very close partner of the United States. No, Canada is a close partner. Saudi Arabia is only a tactical partner. The U.S. and Saudi governments work together but differ in everything from ways of life to long-term ambitions. - Do you criticize Saudi Arabia? Yes, the government in Saudi Arabia is horrible. I am uncomfortable with the extent of privileges given to Saudi Arabia in Washington. - You have a very negative, inflexible position about Islam? No, I am not negative about Islam, but I am negative about Islamism. A government, a movement, or a people who seek ways to implement Islamic law fully are rather a small minority in nearly every country. They are not the majority, and yes, I am negative about them. My motto is; radical Islam is a problem moderate Islam is the solution. - Which countries you can think of in the Middle East that can implement a moderate version of Islam? Governments such as Iran, Turkey, and Tunisia that followed a moderate version of Islam are gone. Nowadays, the closest example is Algeria. The AKP and Gülen movement try to look like moderate, but they are not because both want to implement Shari'a. - In the mission statement of the Middle East Forum's Legal Project, of which you are the founder, it says, you "work to protect the right in the West to freely discuss Islam, radical Islam, terrorism, and terrorist funding.." But Islam is not the only religion in the Middle East, so why do you not show same concern about Christianity and Judaism? I do not see Islamism is comparable to anything in Judaism or Christianity. As I mentioned earlier, I see it comparable to Communism and Fascism. I see Islamism as far more a bigger threat than Jewish nationalism or a fundamentalist Christianity. You can criticize Jews and Judaism, Christians and Christianity without facing danger. However, you risk your life criticizing Islam.